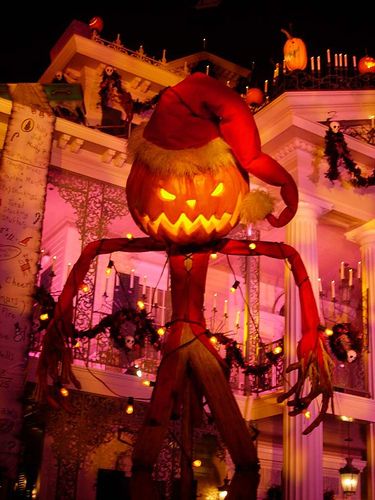 Wish you all a Happy Halloween! It’s apple picking season, and that means lots of apple cakes, and crisps, and pies. Sift together flour, wheat germ, baking soda, cinnamon, salt, and nutmeg. 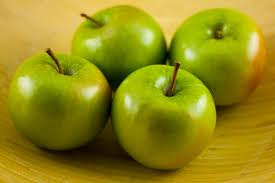 Combine apples, nuts, and sugars. Whisk together oil, eggs, and vanilla. Pour over apple mixture. Add flour mixture to apple mixture, stirring gently until well blended. Pour into a 13” x 9” x 2” greased pan. Bake at 350 degrees for 50 minutes or until cake pulls away from sides of pan. We all wind up with mismatched socks, whether a hole appears in the heel or toe or a sock disappears in the laundry, never to be seen again. Sock dolls are a great way to repurpose the remaining sock of the pair. Ugly Dolls have been popular for some time. Here’s how to make an Ugh!Ly Sock Doll. 1. Cut the sock below the heel. 2. Stuff sock with fiberfill. 3. Using Perle Cotton and embroidery needle, work a running stitch around opening. Pull to gather. Stitch opening closed. 4. To make arms, cut heel from remainder of sock. Cut cuff in half. Turn each half inside-out. Stitch along long edge. 5. Turn right side out. Gather along finished edge. Stitch opening closed. 6. Stuff each arm with fiberfill. Work running stitch around opening. Pull to gather. Stitch opening closed. 7. To make hair, wrap yarn around long side of cardboard 25 times. Tape ends to hold in place. Slide a piece of yarn under wrapped yarn and tie tightly to gather yarn. Remove tape. Slide yarn of cardboard. Fold yarn loops in half and tie tightly together at center. 8. Glue hair to head at yarn knot. 9. Glue pompoms to front of Ugh!Ly Doll. Thanks to everyone who stopped by Killer Crafts & Crafty Killers this week and special thanks to our Book Club Friday guest author Alison Stone. The winner of a copy of Too Close To Home is Mary Hawkes. Mary, since you included your email in your comment, Alison will contact you directly to make arrangements for you to receive your book. 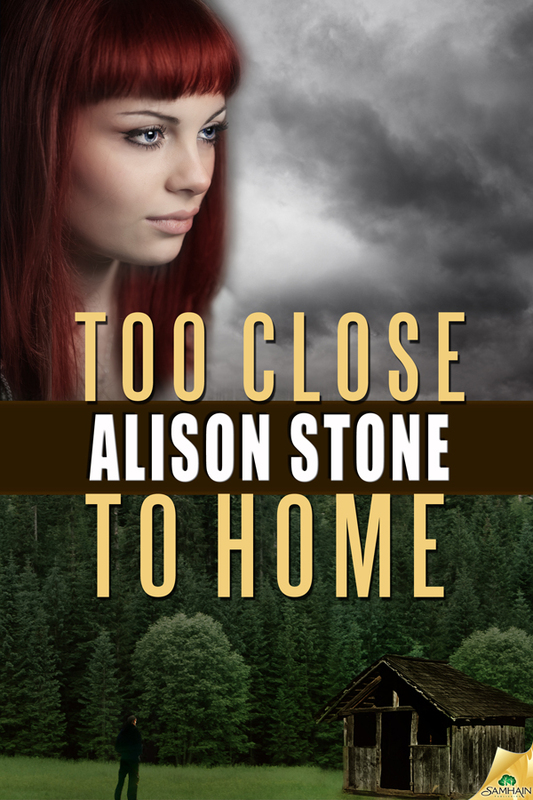 Today we welcome Alison Stone to Book Club Friday. After years of conferences, critique groups and writing, Alison achieved her dream of becoming a published author. Random Acts and Too Close to Home are currently available with a third novel being released in June. 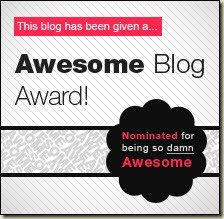 Learn more about Alison at her website and blog. It seems that every time someone learns I’m a writer, they smile and make a comment about how cool it would be if they made one of my books into a movie. Yes, I agree, it would be cool. Very cool. I’m not picky. It doesn’t have to be a major motion picture; I’d settle for a Lifetime Movie. Tell me, who hasn’t hunkered down on a chilly Sunday afternoon and gotten lost in some fantastic Lifetime Movie where the diabolical nanny methodically tries to drive the mother crazy so she can take her place? But then again, I write suspense, so this is right up my alley. However, in my experience, I rarely enjoy watching a movie that has been adapted from a book I’ve read. The movie never compares. In a book, I’m able to get inside the head of the point-of view characters. This is lost to some degree in the movie because it’s a different medium. Another reason I don’t enjoy the movie as much as the book is because I already know what happens. Instead of getting lost in the story, I’m anticipating what happens next and comparing it to the book every step of the way. I turned off The Lovely Bones, adapted from Alice Sebold’s fantastic novel (I read it twice) because I was too familiar with the story. The movie bored me. And have you ever been annoyed when the movie changes the ending of your favorite book? I’m thinking of Jodi Picoult’s My Sister’s Keeper. However I think the real reason I didn’t like this movie is because I had a headache after it was over. It’s a real tear-jerker. There are exceptions, however. Kathryn Stockett’s The Help jumps to mind. I thoroughly enjoyed both the book and the movie. Emma Stone was fantastic as Eugenia aka “Skeeter.” I loved seeing 1960s Jackson, Mississippi come to life. It’s hard to imagine this was a way of life in the not-so-distant past. I was able to get lost in the story. And I think that’s what both books and movies are supposed to be about. Getting lost in the story. 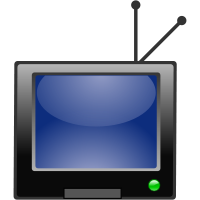 Do you enjoy watching movie adaptations of books? What were some of your favorites? Or least favorite? I’m giving away an eBook copy (from Amazon or Barnes & Noble/US) of my latest romantic suspense, Too Close to Home, to one commenter. Ben hadn’t planned on returning home, either, but with his own father’s death it falls to him to continue the family legacy. When he learns Kathryn plans to sell the plant out from under him, his quest takes on new urgency—Midport Industries is the main source of jobs in town. The eyes are the windows to the soul...and also a dead giveaway to your recent past, whether you pulled an all-nighter with a sick kid, drank too much the night before, are suffering from allergies, or succumbed to a crying jag over a jerk of a guy or a tear-jerker of a movie. Whatever has made your eyes puffy and red, there is help as close as your freezer. Grab a bag of frozen veggies. Lie down if you can, but if not, sit in a comfortable chair with your head back. Place the bag of veggies over your eyes for ten minutes. This will decrease blood flow and reduce swelling. You'll look better and feel better. For added benefit, while the veggies are working their magic on your eyes, take calming breaths (see yesterday's blog post from health editor Janice Kerr,) to help relieve the stress in your life. Autumn is the season for cooler weather, amazing parties and most importantly, pumpkins. This time of year, you see pumpkins everywhere. Many believe that the only use for this large vegetable is turning it into a delicious pie or carving it for Halloween, but this is not the case. There is so much that you can do with pumpkins of all shapes and sizes. Here are fifteen things to do with your pumpkin. One great way to utilize mini pumpkins is creating cute little candle holders. Whether you are holding a party in your home or planning an event, pumpkin candle holders are great additions to any autumn décor. Carve a hole in the top portion of the miniature pumpkins and place candles inside. For a more detailed look, carve designs on the outside. Instead of throwing out your leftover seeds, rinse them out and sprinkle them with a little salt or spice. Then place them in a 300 degree oven for about 45 minutes until they turn golden brown to create a tasty and nutritional snack. Pumpkin seeds contain omega-3 fatty acids, iron and zinc as well. In order to use your pumpkins as beautiful decorations, paint them instead of carving. With the help of latex paint, you can paint almost anything on a pumpkin. Look for the roundest pumpkin you can find and then remove its stem, Afterwards use the round pumpkin instead of using the ball in a kiddies bowling set. Don’t expect the pumpkin to roll straight like a ball. That’s where the fun comes in! Instead of going to the store to purchase pre-made gift baskets, create your own by using pumpkins. Once you hollow out the pumpkin, you can fill it with flowers, jams and other gift foods to give to party guests or family members. Carve out the top part of your pumpkin and clean the inside. Place a vase inside to hold the flowers. The other options is to hot glue flowers or candles on the top of the pumpkin. Once you have painted or carved your pumpkins, you can use them as fireplace decorations. Beautifully decorated pumpkins can highlight a focal point, such as a fireplace, in a room. Halloween parties can be fun; coming up with ideas for games can be a bit challenging. 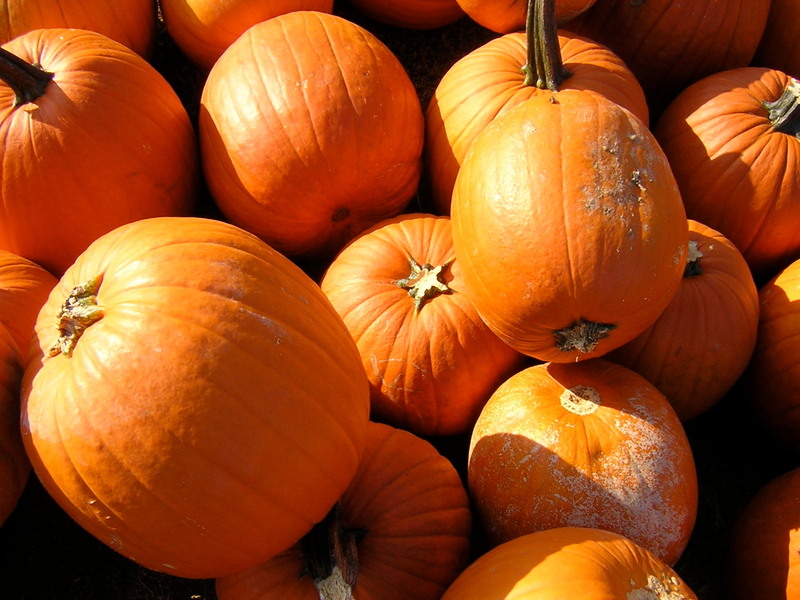 Find some really mini pumpkins to use for pumpkin bobbing, or play the passing pumpkin or even finding the pumpkin games. When you want to spruce up an outdoor space and give it that seasonal feel, set up an outdoor pumpkin wagon or two. It’s something fun that people of all ages can do. You can either carve out something really silly and simple or you can carve out something really scary and spooky. Everyone loves to sit down and enjoy a delicious pumpkin pie with a nice cup of coffee or tea. When cleaning out your pumpkin, don’t forget to save those seeds for planting season. At a party or event why not set up a photo area with pumpkin props? A cute picture for guests to take home is a great idea that will ensure they remember the occasion. Make sure to use a small pumpkin in order to create the bird feeder. Cut your pumpkin in half and gut it. Then use a strong, sturdy rope to hang the pumpkin on a tree branch or your porch. You can use small sticks for birds to perch on by inserting them in the pumpkin. Don’t forget to fill the pumpkin with birdseed. Several delicious recipes are available for curried pumpkin seeds. With a few simple ingredients that include lime juice, curry powder and a few spices, anyone can make this tasty snack that can be served anywhere. Overall, there are so many options when it comes to pumpkins. You can use them for food as well as a variety of creative crafts, décor and gift ideas. If you are planning a party or event, you can use these ideas to decorate the event space. Aside from these ideas, do not forget catering Toronto. A great caterer can make any party or special event even better. They may even have a few great ways to incorporate pumpkin into the menu. Summer might be over, but that doesn’t mean you have to stop grilling. I use my gas grill year round. I’ve even been known to shovel a path to it in the middle of the winter. But if you’d prefer cooking indoors now that the weather is turning crisp, you can still grill on a stovetop grill. Here are some tips for cooking kabobs, whether inside or outside. 1. Always soak bamboo skewers for half an hour to keep the wood from burning. 2. Coating the skewers with cooking spray will keep meat from sticking to the skewers and removal easier. 3. If you use two skewers instead of one, meat and vegetables won’t roll around on the skewer when you go to turn them. 4. Cut meat into uniform chunks so that some isn’t underdone while other pieces get overcooked. 5. Instead of combining meat and veggies on each skewer, separate the items. Some things, like onions, need more time to cook, while others, like tomatoes, need less time. If you use individual skewers for each item, you can start by cooking the foods that need more time, then add the others. 6. Don’t forget fruit when thinking of foods to pair with meat and chicken. Try grilling peaches, grapes, and chunks of melon. As seen in Create & Decorate, Holiday 2012. Designed by Lois Winston, courtesy of The DMC Corporation. Anyway, Lois designs needlework projects for several different national magazines. 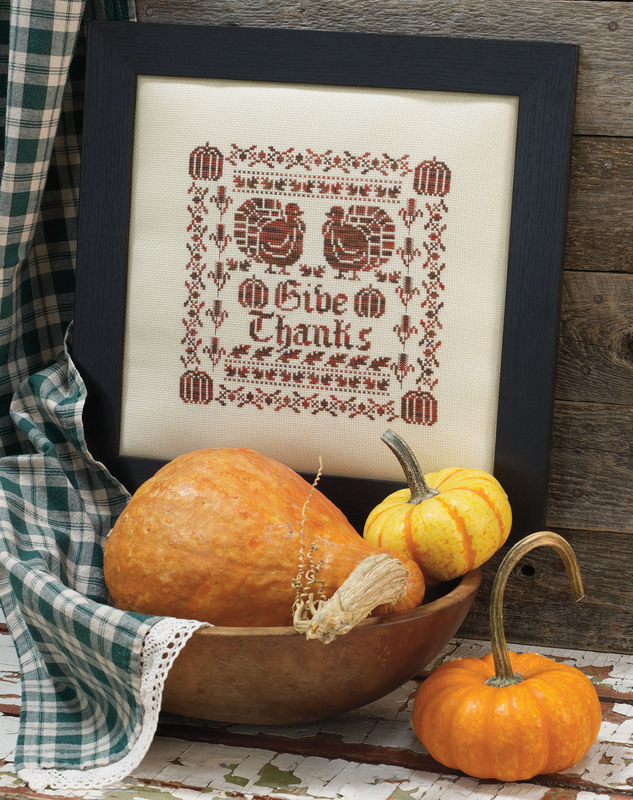 Her “Give Thanks” counted cross stitch design (shown above) currently appears in the Holiday issue of Create & Decorate magazine. This is a project that even a beginner stitcher will be able to complete in time to display at Thanksgiving dinner because it’s stitched with only one color floss, DMC Terra Cotta Color Variations. 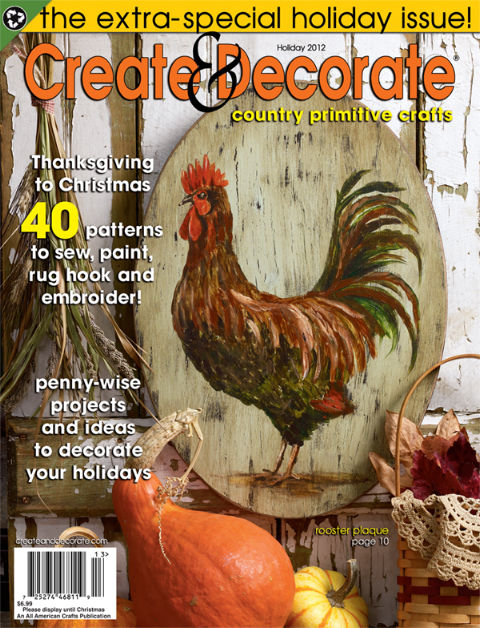 Create & Decorate is giving away kits supplied by The DMC Corporation to five lucky readers. The kits include the floss and 14-ct. Charles Craft Aida fabric. You can find out how to enter on the Create & Decorate blog or their Facebook page. The winning names will be drawn and the winners notified tomorrow, so you need to enter by midnight tonight. The Holiday issue of the magazine is available on newsstands now and from the Create & Decorate website. Last Spring a cover story in TIME Magazine was about Introverts. And I’m one. Make no mistake: we’re born this way. Scientific studies have shown that small babies exhibit behavior that marks them as future Introverts. If the parents of such a child are Extroverts, they may try to influence his or her behavior, thinking it’s not normal, thereby causing, at an early age, the tension that goes with feeling different. At the very least, parents fear that the child will not have friends or be successful in life. Not to worry. Introverts learn to adapt early and there are plenty of occupations which require what Introverts are good at, such as thinking things through thoroughly. Yes, it turns out we Introverts are usually smarter than Extroverts, make fewer wrong decisions, are less likely to get into dangerous situations, and take better care of our health. 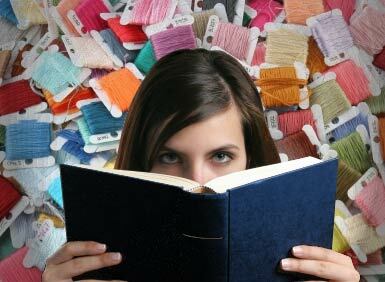 And why not, since we’re spending our time reading or thinking while Extroverts are bungee jumping or talking? Among the well-known Introverts, according to Walsh, are Mahatma Ghandi, Warren Buffett, Bill Gates and Mother Teresa. The author didn’t list any famous writers, but I suspect all writers are Introverts. Why else are we happy to spend so much time alone, in front of our computers, inventing stories? 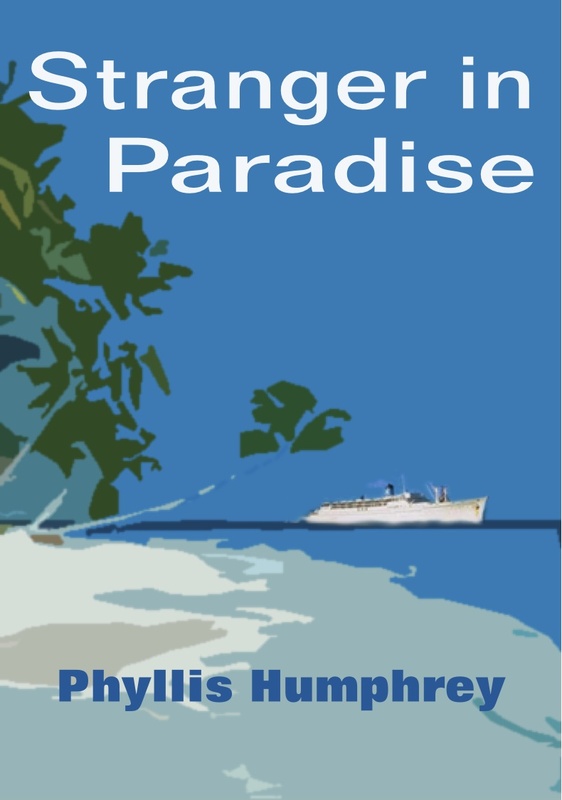 DANA GIFFORD, assistant manager of a hotel in Hawaii, has good reasons to avoid the handsome stranger, MATT HAMPTON, who arrives in the islands. If his company buys her hotel, she'll lose her job. Nevertheless, they fall in love and Dana realizes this is the real thing. 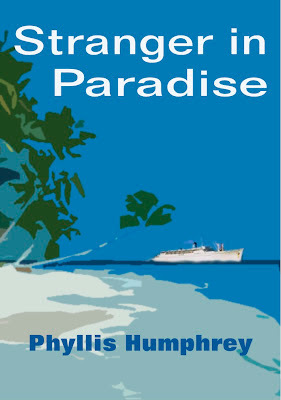 Then, a tsunami hits the island and severely damages the hotel of Dana's best friend. Dana asks Matt to help in solving the financial crisis, but that precipitates even more trouble. Believing Matt has deliberately sabotaged her friend, Dana is devastated and regrets allowing herself to fall in love with him. But can love find a way to solve the problem and let Matt stay in paradise with Dana? Two weeks ago author Lois Winston attended the Bouchercon World Mystery Convention in Cleveland and was pleasantly surprised by the Forest City, as it’s known. 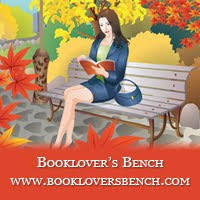 The convention – a huge gathering of mystery writers, publishing professionals and fans – is named for mystery author, science-fiction editor, and San Francisco Chronicle reviewer Anthony Boucher who died in 1968. The convention was held at the Cleveland Hotel, an architectural marvel that has been a landmark in downtown Cleveland since it was built in 1918 on Public Square. Public Square is considered the city’s historic heart and soul. Known as the Grand Dame of Cleveland, the Cleveland Hotel, now the Renaissance Cleveland Hotel, has hosted many presidents and world dignitaries over the years. Cleveland is also known as the rock and roll capital of the world and is home to the Rock and Roll Hall of Fame. The term “Rock and Roll” was first coined by Alan Freed, a Cleveland disc jockey in the early 1950’s. In sharp contrast to the old world charm of the Cleveland Hotel, the Rock and Roll Hall of Fame, is an ultra-modern structure designed to resemble a glass pyramid. The opening ceremonies for Bouchercon were held at the Rock and Roll Hall of Fame. The courtyard of the museum was filled with the results of GuitarMania, a public art project that raised two million dollars for the United Way of Greater Cleveland and the Rock and Roll Hall of Fame and Museum’s education programs. 10-ft. tall Fender® Statocaster® guitars were transformed into works of art by local artists and national celebrities. Additional guitars are displayed throughout Cleveland. The guitars will be auctioned off this coming Saturday at the Rock and Roll Hall of Fame. But the cool thing is, you don’t have to be in Cleveland on Saturday to bid on a guitar. Anyone interested in owning one can bid online. Cleveland rocked for Lois. You might want to put the city on your must-see list and let it rock for you. We all know that identity theft is rampant. Hackers are constantly worming their way into supposedly secure sites and stealing personal identification they then use to make phony credit cards to purchase items illegally or worse yet, wipe out the bank account of some unsuspecting person. But did you know that 11% of all children have had their Social Security numbers stolen? Criminals then secure loans with fake ID and never pay back a dime of the loans. The worst part of this is that you may not even be aware your child’s Social Security number has been stolen until years later when he or she applies for student loans and is denied credit. How do you protect yourself and your children? The government offers a free guide that will help you. You can find it here. Have you ever had one chicken breast left over after dinner? What do you do with one chicken breast? Keep reading. Most people who plant vegetable gardens in the spring have an overabundance of tomatoes and zucchini this time of year if you live in a region where there hasn't been a frost yet. Here’s a way to use up that one cooked chicken breast along with a tomato and a small zucchini. This recipe will make enough chicken salad for two portions when served with a side salad, or four sandwiches, or as an appetizer served on crackers for 6-8. Cut the chicken into small chunks and process in a food processor until course. Place in a bowl. Cut zucchini into chunks and process until course. Add to chicken. Dice tomato. Add to chicken and zucchini. Fold in mayonnaise and sour cream. Salt and pepper to taste. Materials: 6” circular piece of lightweight cotton fabric, 3/4” - 1" diameter button, sewing needle, DMC Perle Cotton, DMC Memory Thread, Beacon Adhesives Zip Dry paper glue, wax paper, 4-1/2” x 6” piece of colored paper, Yarn Tree greeting card and envelope. Directions for making Memory Thread stem and leaves: Cut one piece of Memory Thread 17” (twice the length of the short side of the sheet of directions.) Using this piece as a guide, cut another piece of Memory Thread four times the 17” length. Fold the longer piece in half, then in half again. Working from one end to the other, tightly twist the four lengths of Memory Thread together. Fold the twisted length in half, forming a “V”. For the stem, fold the 17” length of Memory Thread in half, then in half again. Center over the “V” of the twisted length. Twist the stem pieces together, starting at the “V” and working to the opposite end. To form the leaves, coil the ends of the Memory Thread. Assembly directions for card: Apply a thin line of glue around the front edge of the colored paper. Center behind the card cutout. Apply a thin line of glue around the edge of card flap that folds behind cut-out section. Press flap in place. Place wax paper over the card and weight down. Apply small dots of glue to back of stem/leaves. Remove weight and wax paper from card. 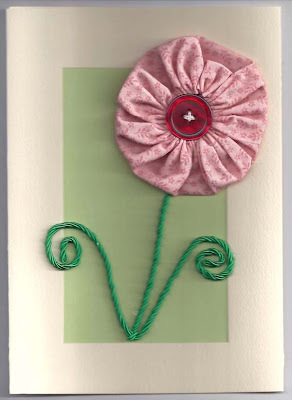 Position stem/leaves on front of card. Place wax paper over the stem/leaves. Weight down Memory Thread until glue dries. While glue is drying, make fabric yo-yo flower. Directions for making yo-yo: Hold the fabric circle with the wrong side facing you. Fold 1/4” of the raw edge toward the wrong side of the fabric. Using the quilting thread, begin the first stitch underneath the fold of the hem to hide the knot, then sew a running stitch around the circle. When you reach your starting point, and the circle is completely hemmed, pull the thread tight to gather the fabric. Smooth and flatten the yo-yo so the hole is in the center. This is the right side of your yo-yo. Sew the button over the center hole of the yo-yo. Knot the thread and snip excess. Glue the yo-yo to the top of stem. 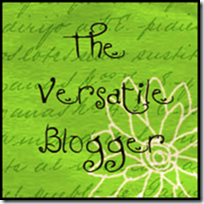 Thanks to all who stopped by the blog this week and special thanks to Kathleen Kaska, our Book Club Friday guest author. Kathleen offered a copy of Murder at the Luther to one of our commenters. The winner is Brenda W. Brenda, please send your mailing address to me at anastasiapollack@gmail.com so I can forward it to Kathleen. Kathleen Kaska, today's guest, writes the award-winning Sydney Lockhart mystery series set in the 1950's when women were caught between the dichotomy of career and marriage, fashion exploded with a never-before-seen flair, and movies and music had the country dancing with gusto. 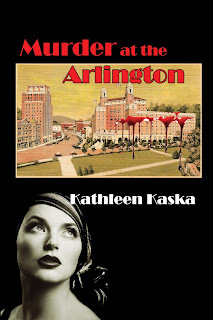 Her first mystery, Murder at the Arlington, won the 2008 Salvo Press Manuscript Contest. This book, along with her second mystery, Murder at the Luther, were selected as bonus-books for the Pulpwood Queen Book Group, the largest book group in the country. Murder at the Galvez will be released later this year. Before bringing Sydney into the world of murder and mayhem, Kathleen published three mystery-trivia books, The Agatha Christie Triviography and Quiz Book, The Alfred Hitchcock Triviography and Quiz Book, and The Sherlock Holmes Triviography and Quiz Book. To learn more about Kathleen, visit her at her website. When my three sisters and I first began texting, I thought LOL meant “lots of love.” Thinking I was expressing sisterly affection after such missives as “sorry to hear you’ve been ill,” or “sorry you had a bad day,” I concluded with LOL. They weren’t annoyed, they merely assumed it was the result of my quirky sense of humor in attempting to cheer them up. Good thing my novice thumb-wiggling was limited to family members. I guess that quirky sense of humor also found its way into my Sydney Lockhart mystery series. Not text-lingo, of course, since this series is set in the 1950's; but snippets of actual conservations, anecdotal occurrences, and humorous miscommunications were used in the banter that takes place between my two main characters, Sydney and her zany, somewhat ditzy, filthy rich cousin Ruth Echland. That humor not only establishes the relationship of these two women, it lets readers get to know them intimately and adds to the story’s pacing. Ruth’s dumb-blonde comments are often delivered when Sydney is least expecting them or during a tense moment, causing Sydney to bang her head against a wall. I toppled off my cot and landed on the cold, filthy floor. The plates that had once held my lunch shattered. I sat for a moment, hoping I was still in the nightmare. I pushed my hair from my face and looked up. Yes indeed, I was still having a nightmare. It was four-feet eleven, wearing a red dress with a pleated-skirt and matching jacket trimmed in brown fur. Brown fur gloves covered her hands and a pillbox hat, also made of fur, sat on her head. The ermine look-alike was my cousin Ruth. She was standing at the door, hands on her hips; her size-five foot tapping rapidly on the cement floor.I looked down at her stylish footwear. “Ferragamo?” I asked. I was grateful for her concern. In one of Sydney’s most desperate moments, afraid she might spend the rest of her life in jail, Ruth waltzes in with her own set of petty troubles. So, you get the idea. And on those occasions when Ruth tries to help Sydney out of her disasters, it’s usually by doling out self-help material. In Murder at the Galvez, Ruth presents Sydney with How to Win Friends and Influence People, claiming it must be good since it was written by a man named Carnegie who invented libraries. 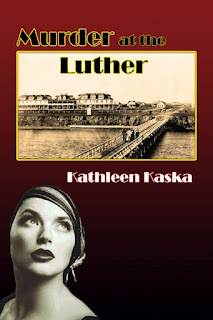 In Murder at the Luther, it was Ten Tricks to Catch a Man, since Ruth believed Sydney’s finding a husband could easily alleviate her crankiness. And in Murder at the Driskill (still in the making), Ruth resorts to a magazine’s sensitivity survey, giving herself a score of 9 out of 10 and Sydney a 1. But Sydney often gets the last laugh as when Ruth, either dripped in jewels and dressed in her most expensive duds, ends up kidnapped and facedown in a pig’s mud-wallow or is forced to wear a Betty Crocker disguise during an investigation. And if Sydney were texting Ruth, the abbreviation would be JOY (joke’s on you). HEALTHY LIVING WITH JANICE - THE CHOCOLATE DIET?